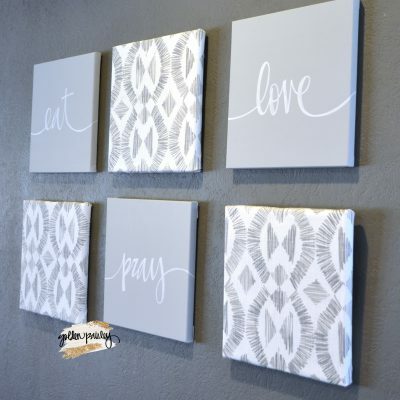 This gorgeous, chic, and classy wall art value pack features SIX 12 x 12 inch canvas wall hangings, hung together in a cluster to create an impressive gallery wall that decorates a wall space over 3 x 2 feet large! 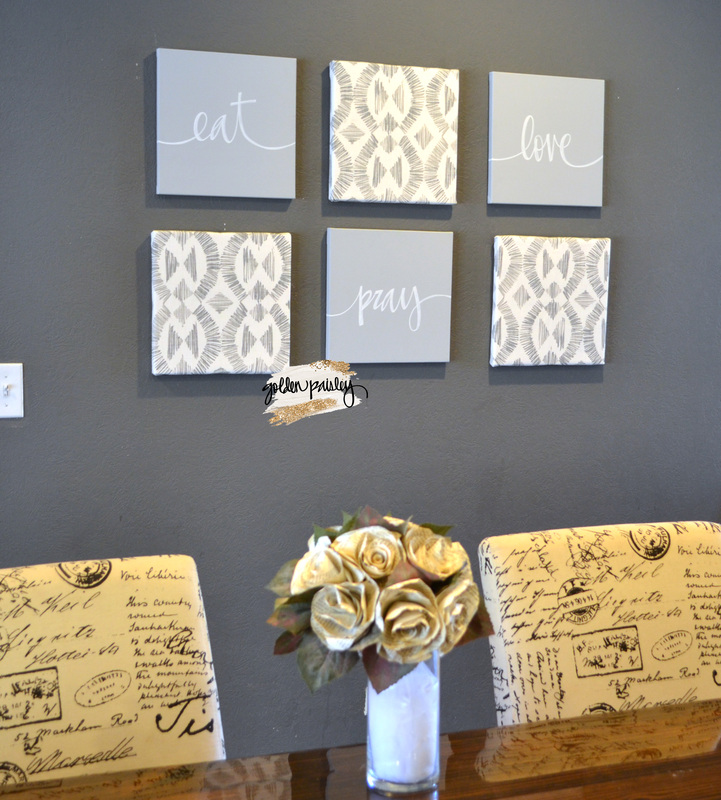 These paintings look excellent next to a dining table, and feature the quote “eat pray love,” which makes it work perfectly in a cozy living room or dining room! 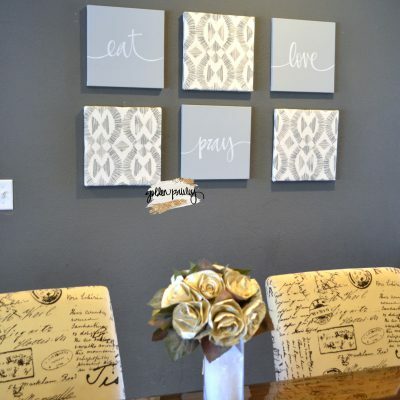 The text can also be customized to say “eat drink be merry” or “live laugh love.,” or even customize it! 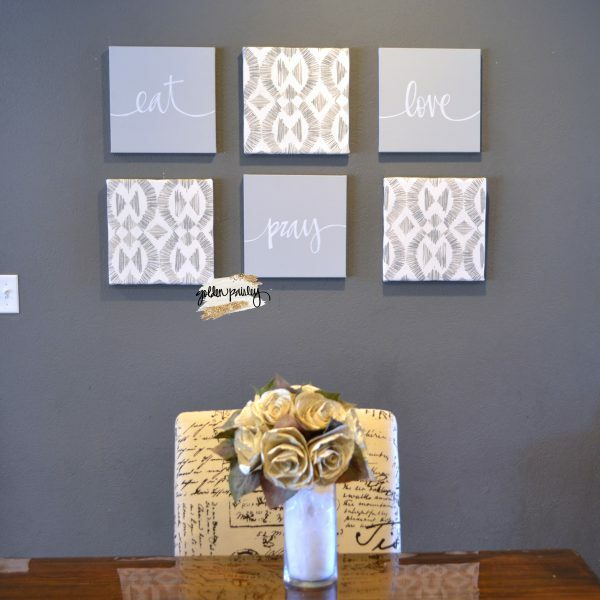 The canvas paintings are finished with a pretty light gray paint with white text, and the fabric upholstered canvases feature a matching designer pattern in gray and white fabric. 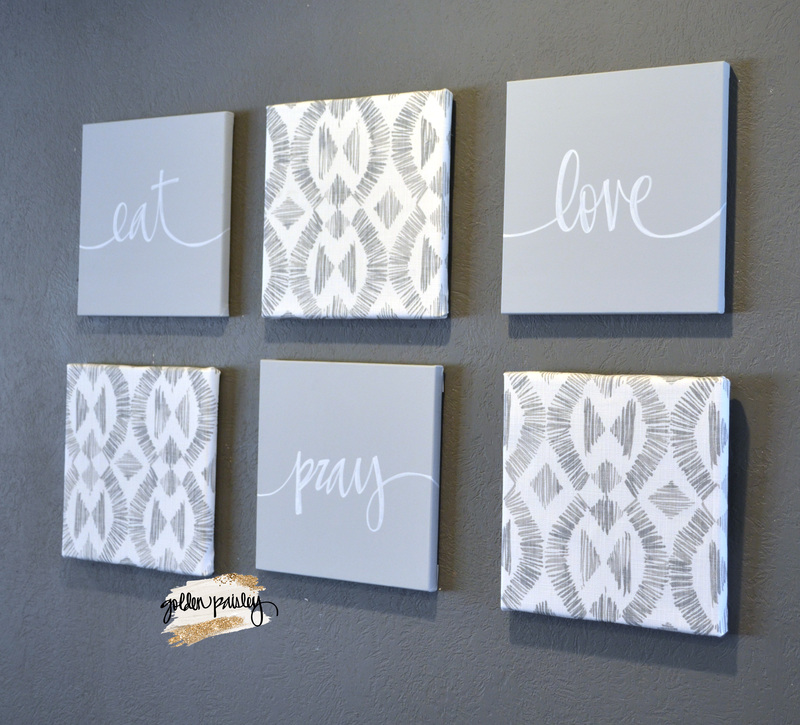 Each canvas features a self leveling sawtooth hanger on the back to make hanging a breeze! Make your home more welcoming and cozy with this wall art! Want this done in another color scheme? 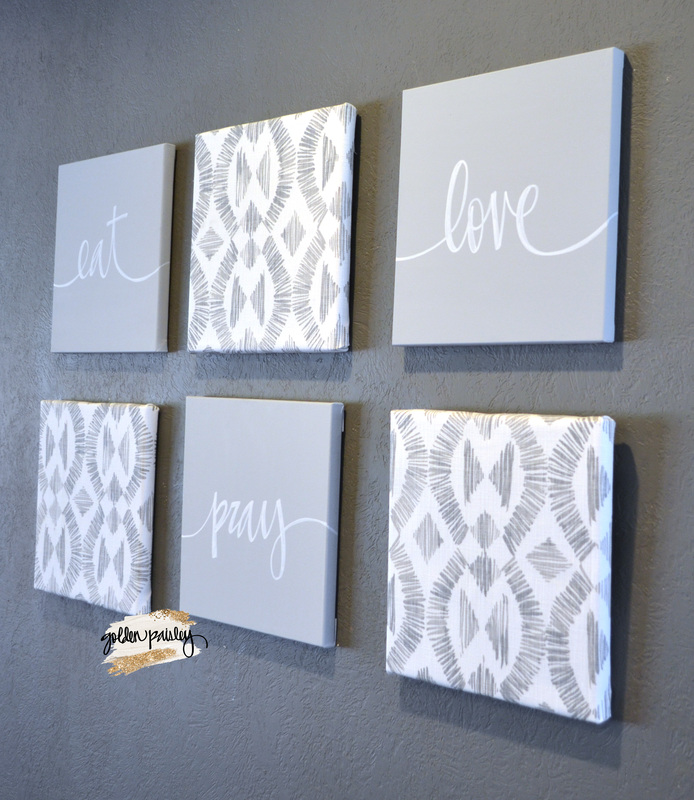 With another fabric pattern, or a different font? 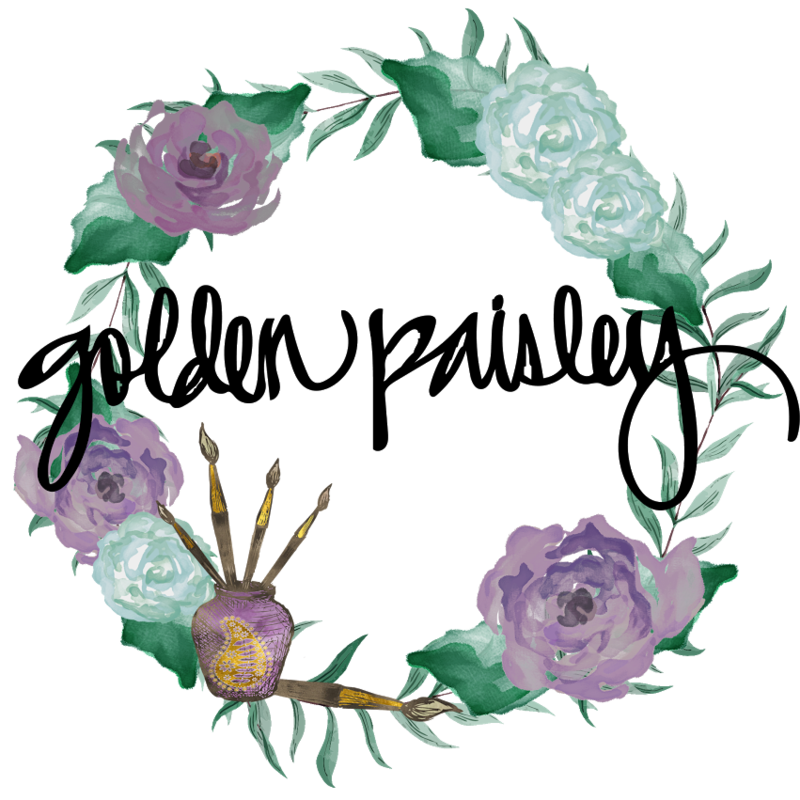 All of the items in my shop are 100% hand made and made to order, and colors, text, and patterns can be easily customized, often for no extra charge! 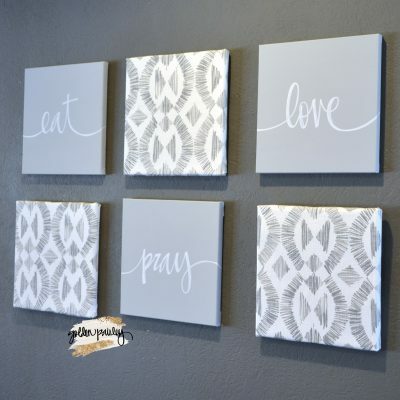 Message me for details!